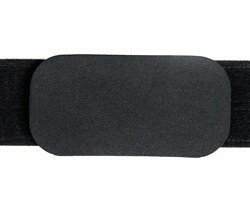 A butterfly-shaped orthopedic headrest for head and neck support which can be easily shaped to the patient’s head. 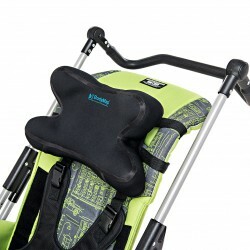 It can be mounted on most of the wheelchairs, positioning chairs as well as standing frames. 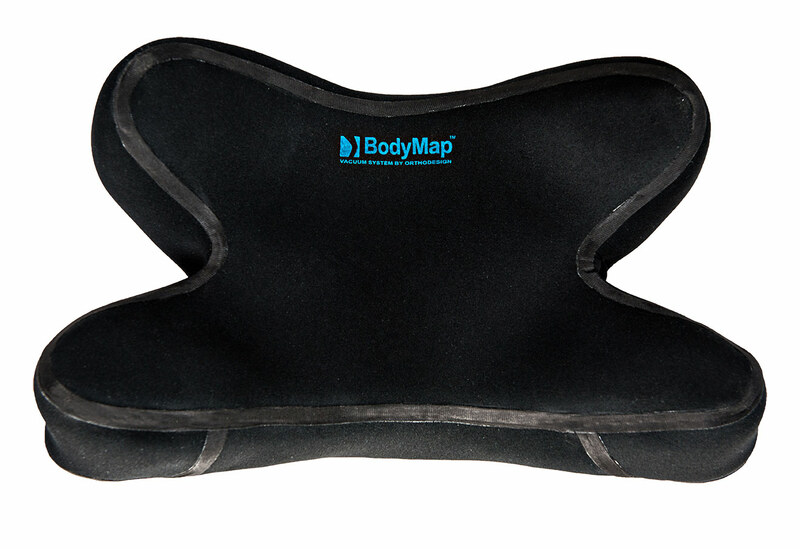 One side of the BodyMap® DX headrest is laminated with high quality elastic polyester whereas the second one is laminated with a self-adhesive fabric which makes it possible to attach various elements with the use of Velcro to it. 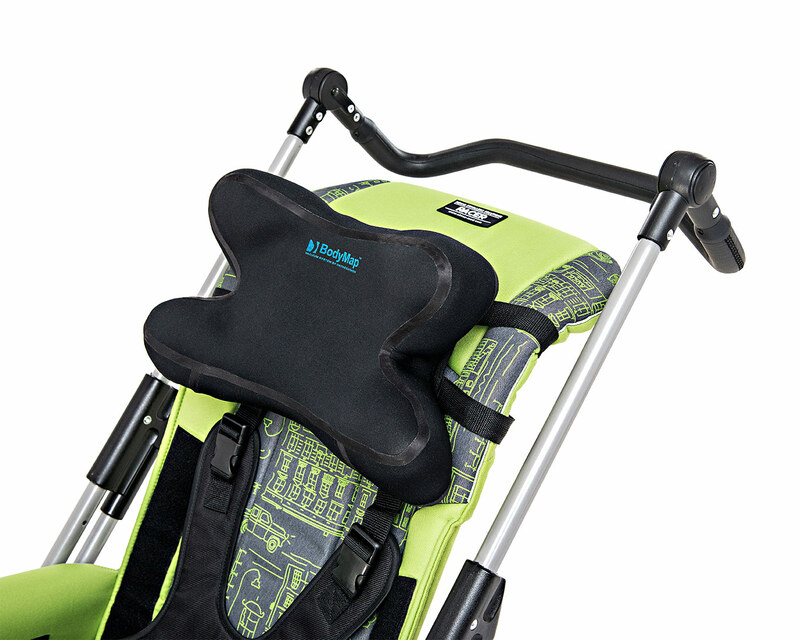 Thanks to that function, stabilizing the patient’s head or mounting the headrest in any place, e.g. 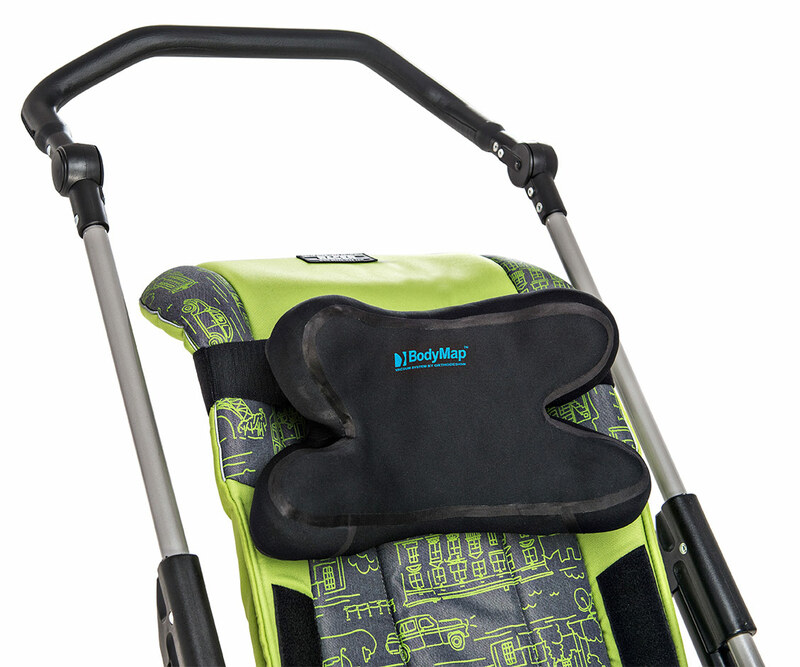 in a stroller, chair or car seat, is now possible. 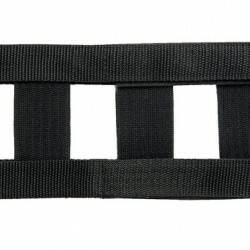 Additionally, the self-adhesive function prevents the headrest from moving. If the product is placed on a hospital bed, it is necessary to use a special bed sheet with a self-adhesive function produced by REH4MAT®. 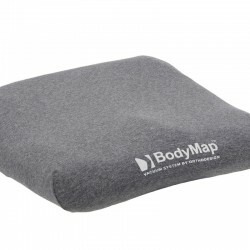 Each BodyMap® product can be custom-made. 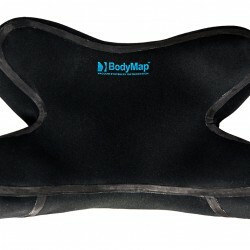 BodyMap® products are made of soft, elastic neoprene foam, which perfectly adapts to the patient’s body. 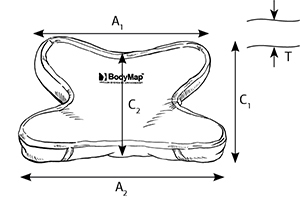 With such precise mapping the contact area of the body with the cushion surface is increased, thereby the pressure is reduced. 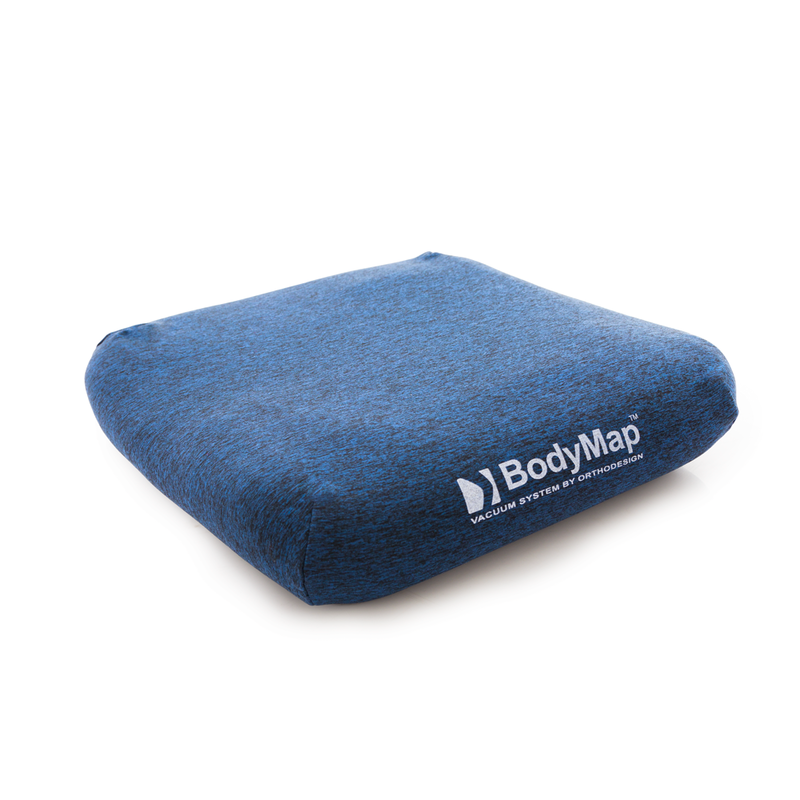 This has a very significant impact in the prevention of bedsores. Thanks to the vacuum technology, it is possible to gradually adjust the level of hardness of the product. 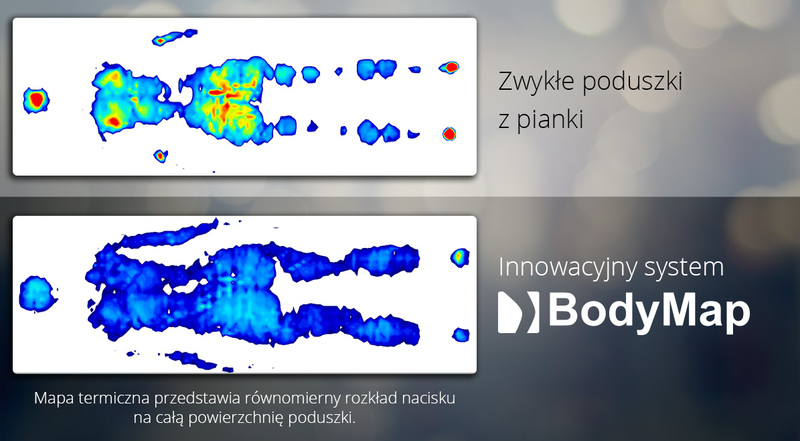 For patients, who use the BodyMap® cushion continuously for more than two hours, it is recommended to use the VISmemo™ thermoactive cover to minimize the risk bedsores. 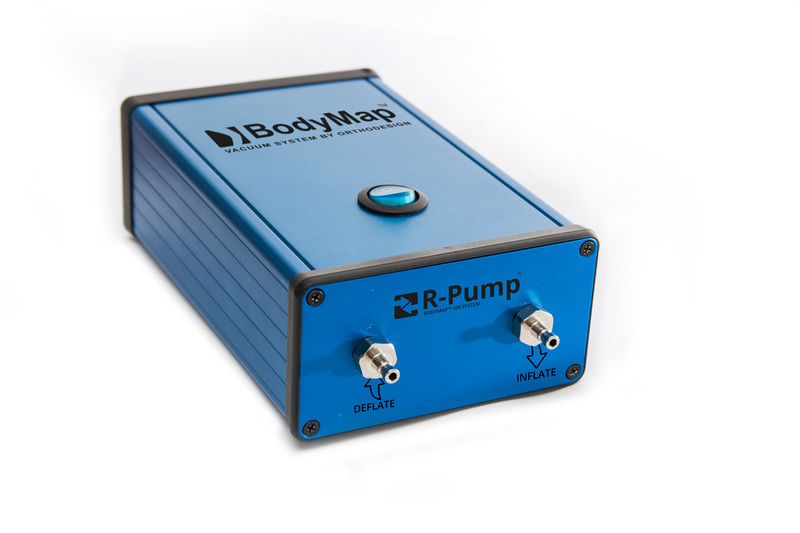 With a dual-function pump it is possible to adjust the hardness of the cushion to the individual needs of the patient. It allows precise pumping out of the air in order to achieve the desired hardness. Electric and manual pumps are available. 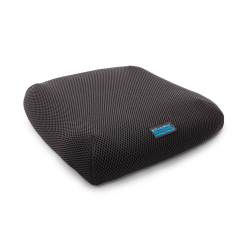 The headrest is covered with a self-adhesive fabric at the bottom. 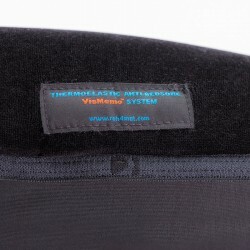 As a result, various elements can be attached to it with the use of Velcro. 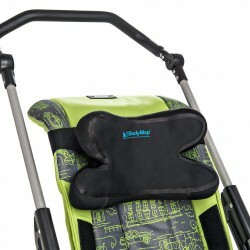 This allows you to stabilize the patient’s head or mount the headrest in such places as a stroller, seat or a car. 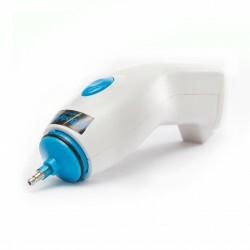 Handy, small vacuum pump, ideal for small and medium-sized cushions. 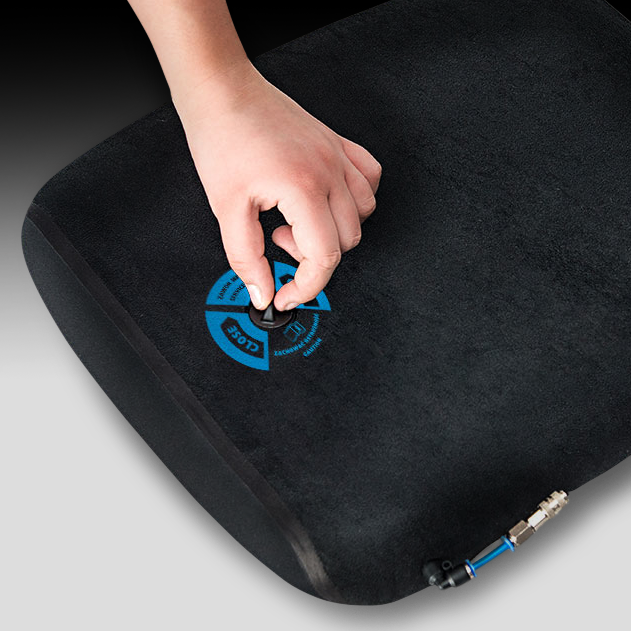 A repair kit is added to each cushion, which consists of a tube of neoprene glue, a set of patches and an instruction manual. 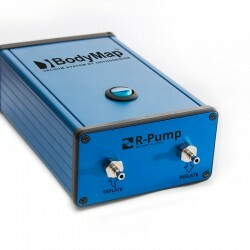 The pump valve is small and easy to lose. With the chain you will never have to search for it again. 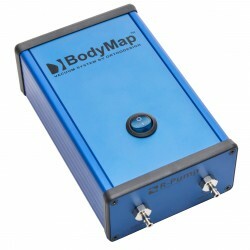 SEE OUR BodyMap® VACUUM SYSTEM MOVIES!